Other countries quickly followed Great Britain by introducing their own Travelling Post Offices. 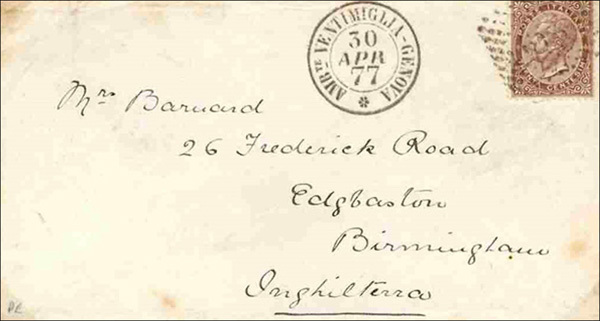 Here below is a cover postmarked 30 April, 1877 on the Italian TPO between Ventimiglia and Genoa. 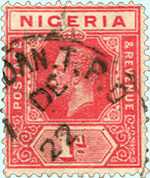 The TPO mark is a sorting mark; the cancellation mark (a ‘dumb cancel’ – in this case a diamond shaped grid of of dots) was put on at the place of origin. Note however that the methods for handling railway mails varied a lot from country to country. Operating procedures abroad were not simply copies of those in Britain – each country adopted procedures which suited its own particular requirements. 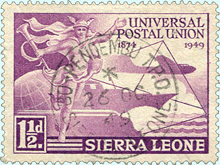 For more information on this please refer to the Bibliography of references to Foreign Railway Postmarks (listed by country). You really need to know your stuff to collect foreign railway postmarks. But, if you want a challenge, this is a great are to explore. Information is often difficult to find, so foreign railway postmarks is an area you can really get your teeth into! 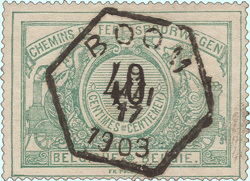 As a relatively easy starter, the railway stamps of Belgium are nearly always postmarked, and are relatively easy to find on Ebay. Also, here are a few examples of foreign railway postmarks from countries where English was a commonly used language. 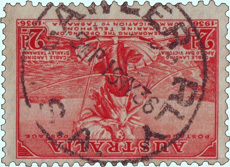 The first example (from Australia) is shown upside down so that you can read the postmark more easily.